Let’s just imagine that America’s immigration policy is changed to temporarily prevent Muslims from entering the country; just temporarily, until our government can figure out how to tell the radicalized Muslims from the peaceful ones. That doesn’t seem like a bad idea when you consider the death and destruction that is almost routinely, caused by radicalized Muslims. You’d never know it from listening to the broadcast or cable news, or even by listening to Trump himself, but that is exactly what Donald Trump is suggesting. Now Trump, being Trump, doesn’t make proposals that sound reasonable – when he talks, he is talking to the people who are just totally pissed-off about the way our government does things so he uses harsh words and makes wild faces that will energize his followers. Donald Trump, politically speaking, is not a very smart man! He talks off the top of his head and I seriously doubt that he listens to any rational advice he is given by his political advisors — either that or he has hired a bunch of “yes men” as advisors who do nothing but stroke his very large ego. is the germ of a good idea, but I get the impression that Trump believes, like he believed about his ‘deport every Illegal Alien’ proposal, that it is something that could actually happen. Even if Trump were to become the next president, it is unlikely that he could shut down Muslim immigration completely — there is just too much opposition to that idea in both the Republican and Democratic parties as well as in the Supreme Court and in the general public. In a perfectly rational world, Trump’s proposal would be hailed as a ‘great idea’ but here in America, we are far from being in a perfectly rational world. Americans long ago lost their spirit and their ability to think clearly! What we have now is a “go along to get along” mentality that shrivels at the thought of being thought of as anything other than ‘generous, accepting and forgiving’. We have an entire generation of liberal “Stepford Wives” controlling the country’s direction. Ted Cruz has been openly, vocally opposed to the kind of destructive legislation and proposals that have been coming out of the White House since Obama was first elected. A Ted Cruz presidency would bring the United States back, in a sensible manner, to a strong, prosperous, safe place in the world where our enemies fear us and our allies would be willing to work with us and would benefit by being our partners in this dangerous world. As of this Monday morning, the governors of four states: Alabama, Arkansas, Michigan and Texas stated that they refused to accept Syrian refugees into their states because of the very real dangers of hidden terrorists in their ranks. They are putting the safety of their citizens above all else. By evening that count of rebellious governors had risen from 4 to 25. Clearly, it’s a Constitutional question, whether the states can opt out of a federal immigration mandate, but the power of the majority of the states may not, in the end, win out over an extreme Leftist administration. That understanding, however, is apparently not a sufficient reason for him to change his mind about accepting thousands of Syrian refugees in the United States. He said the United States would continue to accept more refugees from Syria and elsewhere, though “only after subjecting them to rigorous screening and security checks.” Our compassionate president did not, however, acknowledge the fact that we can only screen and check out these people using current databases developed by our security professionals and those of our allies; and he certainly doesn’t want to admit to the American citizens he was sworn to protect that we will know nothing about the vast majority of the refugees he intends to accept. National Defense; protecting America and its citizens “from enemies both foreign and domestic” is the president’s most important job — but to avoid doing that job Obama is using the excuse: “That’s not American (to turn away refugees). That’s not who we are.” He then mentions this great compassion America has for the rest of the world’s citizens. My admittedly jaundiced view of this and many past actions of Barak Obama is that he is intentionally tearing down and corrupting American values, culture, security, national defense capabilities and our countries very soverignty. I repeat, intentionally! It has been apparent since he first started seeking the presidency in 2001 that Obama has a deep seated contempt for our country and its constitution. Specifically, he made it clear back then that he wanted a road to redistribution of wealth; he stated that the Constitution did not go far enough. His thirst for wealth redistribution clearly marked him as a Socialist, an enemy of our Democratic process. A majority of American’s foolishly elected him anyway. Knowing what you now know about Barak Obama, listen to this 2001 radio interview on Chicago Public Radio and make up your own mind about his intentions at the time, should he win the presidency. Yes the United States is normally a compassionate country and will do whatever is needed to help people who are genuinely seeking refuge from dictatorial/inhumane regimes around the world, but this Syrian refugee situation presents a new dimension to the situation, a dimension that forces thoughtful people to seriously consider the possibly dire consequences of compassionate behavior. The first time (a couple months ago) I heard a highly respected Conservative radio host speculate on the ‘inevitability’ of Hillary Clinton as the next president of the United States. I thought I had misunderstood or heard wrong, this was not only a Conservative but the most ubiquitous kind of Conservative, a Religious Conservative. Several weeks later I heard that vile sentiment repeated by another respected Religious Conservative talking head and then a few others. What are they doing, I asked myself? Are they giving up without a fight? Well now, religiosity aside, I understand! That was just a clever bait and Hillary has swallowed the lie and is running with it. Conservatives want her to run because they are under the illusion that the American public will see her flaws and her inability to lead, I am afraid however that they underestimate the gullibility of the American voter. To my mind, and probably to the minds of millions of others who love and believe in the United States ‘as it used to be,’ it is almost inconceivable that Democratic voters would even allow a worn-out nag like Hillary to get to the post-primary starting gate of the 2016 election race, much less elect her president. But, in retrospect, it was also inconceivable to me that Obama would win a second term after doing so much damage to America during his first term. I certainly have a knack for over-estimating the intelligence and patriotism of the American voter. On the other side of the equation, who do the Conservatives have who might beat Hillary? Rand Paul is, for the moment, the public front-runner (at least according to some media polls). His Libertarian positions make him a strong contender to many thousands who are fed up with the heavily socialist positions of the Obama administration (and a potential Clinton administration). His problem is he is seen by many as a poor judge of the very messy International situation. He is gradually changing but I think, unless he poses some strong and aggressive National Defense positions, he will continue to be seen as an isolationist. To me, the thought of a strong super power, standing virtually alone in this world gone mad is an attractive ‘comic-book possibility’ but I can too easily envision the end result: America as a fortress of Democracy surrounded by, and eventually overwhelmed by a huge Islam o-Nazi Caliphate. Not a pretty picture or a happy ending. Who want’s to live in a fortress anyway! The United States needs a leader who will actually commit all of our power to defeating radical Islam. Do it with sanctions, do it with missiles, do it any way that works but do it NOW before those barbarians get any stronger. Obama will not do it, Clinton will not do it and it is unlikely that many of the Conservative pretenders to the presidency have the guts to do it. I believe that that leader is out there! It seems to me that the one person who could do it is Lt Col Alan West, he has however, decided not to run for the presidency, at least not yet. I’m hoping someone can change his mind and hoping against hope that a man like him, a man who understands the Islam o-Nazi mind set and it’s threat to a civilized world, can actually win the presidency. I fear, however, that is a pipe-dream. I fear that I am once again over-estimating the intelligence and patriotism of the American voter. Mike Huckabee has threatened to “Leave the Republican Party” if the GOP does not actively, openly and loudly oppose gay marriage. It wouldn’t be a big loss for the GOP if Huckabee leaves and takes his few thousand homophobic followers with him. In fact it would be a plus for the GOP to be rid of someone who is so blind to America’s problems that he is willing to desert the party that is America’s best hope over a non-issue like Gay Marriage. Hey Mike, how about pushing the GOP to take meaningful positions on stuff like the threat of radical Islam, American terrorists, the potential Ebola crisis, the disgraceful National debt, America’s ever weakening military might, the growing distrust of our allies (if we have any left after 6 years of Obama), the government’s rejection of the Free Market (the very system that once made us the most powerful nation on earth), the massive influx of illegal aliens that is being ignored by this administration when it is not being encouraged by this administration, or the government’s refusal to take advantage of our natural oil and gas resources to free us from dependence on foreign energy, Or maybe you could urge the GOP to do something simpler like getting Marine Sgt. Andrew Tahmooressi freed from the Ciudad, Mexico jail where he’s been rotting away for the past four months for no real reason. No Mike, gay marriage will not destroy America but people like you will unless you get your heads out of the sand and focus on real problems. The social issues and religious mandates you push don’t belong on any national agenda. All the Christian values like worship, respect, humility, honesty, morality, generosity, forgiveness, and all the other Christ-like virtues are absolutely wonderful for personal and spiritual growth and personal relationships but our country is dealing with brutal enemies, deadly disease and poor leadership; things that we can’t pray away. You are a politician, you should know better. PM Cameron: A Justifiable Lie or a Coward’s Stance? In My View: The actions of ISIS and ISIL are the true expressions of Islam as dictated by the Qur’an. 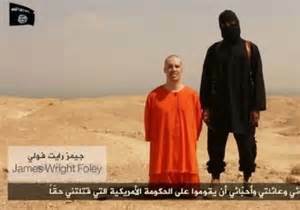 When British Prime Minister David Cameron stood in front of the TV cameras days ago and made the statement: “They (ISIS/ISIL) are killing and slaughtering thousands of people; they boast of their brutality, they claim to do this in the name of Islam, that is nonsense, Islam is a religion of peace.” He was telling a bare-faced lie — but he might have had an understandable reason. To be sure, the civilized world was (or should have been) shocked by Cameron’s apparent cowardice! Here is a man who certainly must be aware that the “monsters” who have beheaded several citizens of Western Nations (including his own) in videos spread all over the world are following the instructions to Muslims as laid out in the Qur’an, the holy book of this supposed “religion of peace’, the book they claim to be the true word of Allah. According to the Qur’an, non-Muslims are simply “cattle” who can be slaughtered as a tribute to Mohammed, Islam’s ‘prophet’ of God. If PM Cameron claims Islam is the religion of peace it is either through inexcusable ignorance or a justifiable fear of a Muslim uprising in the streets of London if he should reveal his true feelings. Cameron, I’m sure, is well aware of the true nature of Islam, and well aware of the threat to British citizens. His lie is justified, at least in his mind, as protection of the home-front. The same can be said about President Obama. His apparently cowardly stance is, in his mind, justified by what will certainly happen here, in the streets of America, if he admits that the Nation of Islam and it’s many offshoots are following the religion of evil, not Peace. Both countries have the same problem. We ignored the truth out of a misguided “Christian Charity” until it was too late. Britain especially is flooded with Muslims. What is Islam, really! It is a religion that is supposed to be based on the true word of Allah (God), as revealed to a man history has shown was a psychotic sociopath: the Prophet Mohammed, prophet of Allah. His revelations are set forth in the Holy Book of the Qur’an. The Qur’an itself is the most important religious text of Islam, which Muslims believe to be a direct revelation from God. Islam has one clear objective and that is NOT to bring peace to the world; a Muslim’s objective (clearly stated in the Qur’an) is to either kill or convert (by force if necessary) everyone who does not follow the teachings of the Qur’an. I repeat EVERYONE! This is the only path allowed to them by the Qur’an. This is done to advance the ultimate objective of the Muslim religion, the institution of a world-wide caliphate. A true Muslim who follows the teachings of Mohammed has no other choice. The Muslim ‘religion’s’ teachings must be recognized as a declaration of war, a war by Islam waged against all non-Islamic countries and their non-Islamic citizens, and even some Islamic countries who prefer a less aggressive interpretation of the Qur’an. The Qur’an is the source of the evil that is flooding Middle Eastern countries with blood and attacking the countries of Obama and Cameron who are both unable to acknowledge pure evil when the see it by publically recognizing the Qur’an as the source of that evil. This is the Quranic justification for the action of the warriors of ISIS/ISIL. And this from the Qur’an (47:4): When you meet the unbelievers in the battlefield strike off their heads and, when you have laid them low, bind your captives firmly. How then can we explain the many thousands of people who call themselves Muslim but are living in peace among those of us who are considered by the monstrous religion known as Islam to be worth less than cattle. These people are are either ‘closet terrorists’ who are waiting for their instructions to destroy as many of the Kafirs (unbelievers) as they can or they themselves are infidels (by the Muslim definition) who have rejected Islam; they are no longer true Muslims! If they were true Muslims they would not be able to live in peace among the camels, goats and pigs. If you do not want to destroy all that is not Muslim you are an infidel. If, however, these closet converts were to identify themselves as followers of any religion other than Islam their lives and the lives of their families will be seriously threatened and the threats would, if at all possible, be carried out. Striking ISIS! It’s a GOOD Thing! These humanitarian acts of violence needs to be carried out before the insanely evil imams and clerics can convince even one more person that murdering innocent people in the name of a jealous, blood-thirsty, possibly insane prophet will make this, in any way, a better world or enrich their life. “No more boots on the ground” is the pathetic call of those who are willing to allow these radical Islamic animals in the Muslim world to continue running roughshod over common sense, common decency and civilized behavior. “No more boots” is the call of those who have given up on the hope that the United States will ever again become a strong leader and a strong force for good in this chaotic world. Pacifists, i.e., those Americans who believe that the United States is not worth saving and who would allow the United States to be conquered without another “shot being fired,” cannot be allowed to direct our national dialogue or our long-term destiny out of their fear. You are certainly aware that radical Islam is at war, right NOW, with the United States as well as with every nation that does not bow down to Islamic principles. They fired, if not the first shot in the war on September 11, 2001, the most damning. You also must realize that this and every great nation was founded amid the violence of war, with the blood of patriots and enemies fertilizing the ground at the end of every battle. The United States has never been and I’m confident will never be a nation of cowards without principles. Certain American political forces however are attempting to push us in the direction of unprincipled, cowardly behavior and it would be wise to remember, if they are allowed to succeed, this nation will be conquered from within as effectively as we would be at the hands of a superior fighting force. In the words of Israeli Prime Minister Benjamin Netanyahu, “ This is a danger that I’ve been pointing to. It’s not a spin. It’s not a whim. It is a clinical diagnosis of a pathological movement that is sweeping our area but will soon come to a theater near you.” The Prime minister was speaking to you and me in an exclusive interview with Fox News. Take that to the bank: Radical Islam is spreading and right now, thanks to he fear and lack of foresight by the United States the only one effectively trying to stand in the way of this plague is Israel. Hopefully that will change before radical Islam does indeed come to a “theater near us”. The biggest questions in the Middle East are: Do all Muslims, in their hearts, believe that the way to heaven is to kill all non-Muslims? I’m sure ALL Muslims do not believe this but if they don’t, where are their voices? Why are all but a very few Muslim clerics and organizations so quietly accepting of their radical brothers behavior? Are they dead inside, do they not have consciences? Or are they just afraid to speak out because they know that the governments of most Islamic-majority countries either support the murderous ways of radical Islam or are so cowardly they will not protect moderates from the radical elements within their religion? Yesterday President Obama surprised me and I imagine the majority of Americans, by allowing airstrikes against the religious zombies who call themselves ISIS; I would have never thought that he had the guts to actually call for a strike against ANY radical Islamic force. Up until now I was actually convinced that, in his heart at least, President Obama was one of ‘them’ not one off ‘us’. Why would I think any differently? Since President Obama took office he seemed to be setting us up for a new form of government, one that is ruled by chaos if by nothing else and he has been a master at turning a blind-eye toward the pure, pustulent evil of radical Islam. It’s sad to say that President Obama’s actions against an obvious evil have surprised me. This fully justified act of force by the Air force of the leader of the free world should have been expected not surprising. I have to wonder if President Obama would have authorized such a bold act as targeting ISIS artillery if we did not have U.S. assets and people right in the path of ISIS. I believe, however, he might have — and I base that only on the fact that President Obama is a politician before he is a president. Showing some aggression against the obvious evil of radical Islam; while it is apparently against President Obama’s nature, is the politically savvy thing to do. In fact, just a stray thought, during President Obama’s last two years in office he just might actually start thinking more about his legacy, his reputation. If he does, he might start acting like the president of all the people, not just the president of the people on the political far Left. He might actually start acting like the president of the most powerful, most benevolent nation on earth. Happy Thought of the Day! If the 2014 elections go the way I am hoping they will go, Harry Reid and Nancy Pelosi will become minor historical figures who can no longer protect the president from making the hard decisions. They will no longer be there to stop legislation from getting to the president — Harry Reid’s desk may suddenly become as empty as . . . well you know what I was about to say.